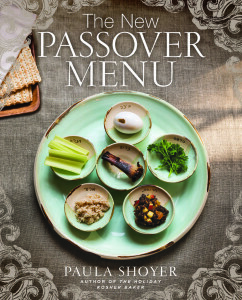 Search Results | "paula shoyer"
The Aaron Family JCC’s Margot Rosenberg Pulitzer Dallas Jewish BookFest brings to Dallas’ “People of the Book” authors, works of fact and fiction, prose and power. Beginning Oct. 26 it’s a series of stories and histories. This year’s BookFest begins Oct. 26. Partnering with the JCC this year are Baylor Scott & White Health, Congregation Anshai Torah, Dallas Holocaust Museum Center for Education and Tolerance, Dallas Jewish Historical Society, the Jewish Community Relations Council of the Jewish Federation of Greater Dallas, the J’s Lieberman Family Wellness Center and Tycher Library, the Women of Reform Judaism at Temple Emanu-El, and the World Affairs Council of Dallas/Fort Worth. 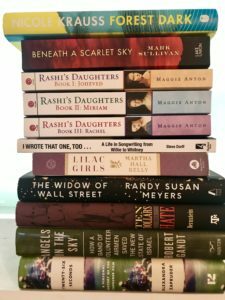 A week of meeting with or listening to more than 250 authors presenting their books through the Jewish Book Council in New York, resulted in the culling of the year’s catalogue. Liener, Weiss Crane, and a team of dedicated volunteers read many titles, their combined efforts narrowing the tally to 10. Nicole Krauss’ Forest Dark opens the series at 7 p.m., Thursday, Oct. 26. Krauss weaves a tale about personal transformation interweaving the stories of an older lawyer and a young novelist — whose transcendental search leads them to the same Israeli desert. The Tycher Library Community Read, Beneath a Scarlet Sky, will be at 7 p.m., Monday, Oct. 30. Based on the true story, Mark Sullivan’s best-seller, which will be made into a feature film is based on the life of Pino Lella, an Italian teenager who during WWII is forced by his parents to enlist as a German soldier which they believe will keep him out of combat. After he is injured, he’s recruited to become the personal driver for Adolf Hitler’s left hand in Italy, simultaneously spying for the Allies inside the German High Command, ultimately helping to save the lives of many Jews. At 7 p.m., Tuesday, Nov. 7, at Temple Emanu-El, author Maggie Anton will speak about her famed Rashi’s Daughter’s series, Rav Hisda’s Daughter: Apprentice, Enchantress, and the recently released What the First Rabbis had to say About You Know What. Martha Hall Kelly and her debut novel Lilac Girls are scheduled at 7 p.m., Monday, Dec. 4,. In her debut novel, the author brings to life New York socialite Caroline Ferriday who has her hands full with her post at the French consulate and a new love on the horizon; Kasia Kuzmerick, a Polish teenager who senses her carefree youth disappearing as she is drawn deeper into her role as courier for the underground resistance movement; and German doctor, Herta Oberheuser, who is hired for a government medical position finding herself trapped in a male-dominated realm of Nazi secrets and power. The new year brings The Widow of Wall Street author Randy Susan Meyers to a free event at 7 p.m., Thursday, Jan. 11, at Congregation Anshai Torah. Community member and Great Thoughts website book reviewer Andrea Peskind Katz will lead the discussion with the bestselling author about her story of the seemingly blind love of a wife for her husband as he conquers Wall Street and her extraordinary, perhaps foolish, loyalty during his precipitous fall. Ten Dollars to Hate author Patricia H. Bernstein comes to BookFest at 7 p.m. , Thursday, Feb. 1, bringing the story of the Ku Klux Klan of the 1920s, the most “successful” incarnation since its inception in the ashes of the Civil War, and the first prosecutor in the nation to successfully convict and jail Klan members. 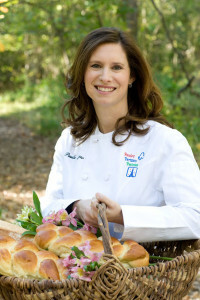 Paula Shoyer’s The Healthy Jewish Kitchen has all the ingredients of a great night beginning at 7 p.m., Monday, Feb. 26. 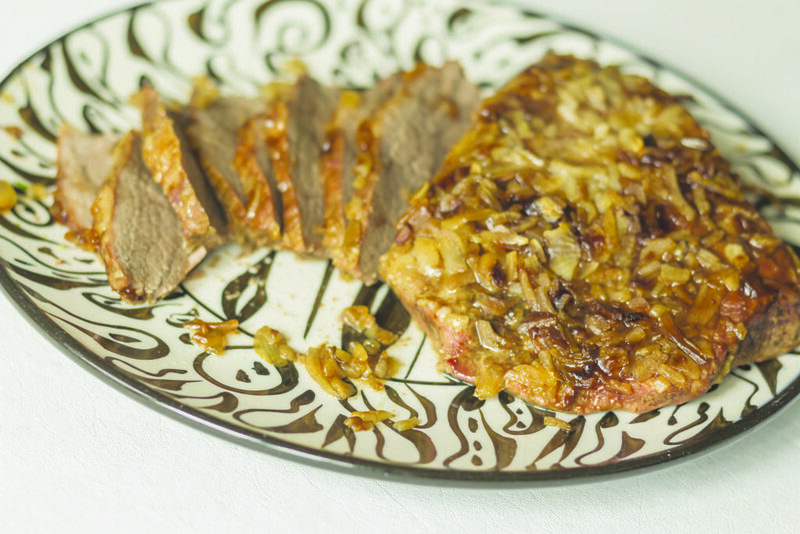 Shoyer dispels the notion that healthy can’t be delicious connections to our ancestor’s kitchens, using only natural ingredients, offering a fresh, nutrient-dense spin on cooking, offering more than 60 Ashkenazy and Sephardy classic recipes. Israel’s 70th anniversary is celebrated early through the presentation of Angels in the Sky at 7p.m., Wednesday, March 7. The gripping story is of fewer than 150 volunteer airmen from the United States, Britain, Canada, France, and South Africa arrived — many WWII veterans, one-third of whom were not Jewish — who flew, fought, died, and, against all odds, helping defeat five Arab nations, during Israel’s war of independence protecting the fledgling Jewish state. The BookFest closes with a chapter of history that began in Dallas as Alexandra Zapruder arrives at 7 p.m., Thursday, April 12, with her Twenty-Six Seconds. Fifty–five years after her grandfather Abraham Zapruder captured the assassination of President John F. Kennedy, the author tells the story of the film, and its journey, demonstrating how one man’s unwitting moment in the spotlight shifted the way politics, culture, and media intersect.